0: Reshuffle your graveyard into your library. If Feldon's Cane is used, remove it from the game, returning it to its owner's deck only when the game is over. 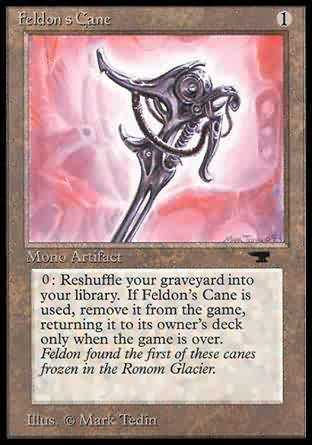 T, Remove Feldon's Cane from the game: Shuffle your graveyard into your library.